One who doesn't know the topography of mountains and forests cannot maneuver the army. will not secure the advantages of terrain. 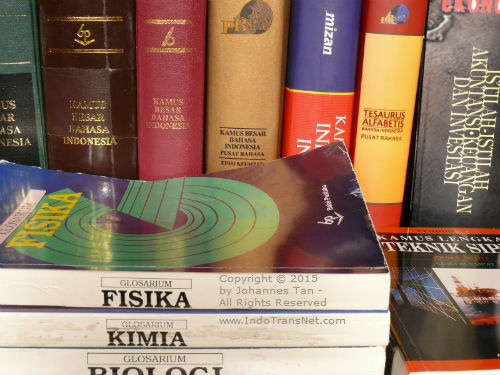 Since 1973, Johannes has provided English <> Indonesian (vice versa) top-notch, publication-grade, translations for translation companies, publications, research centers, NGOs, Federal and State agencies. He fully applies Best Translation Practices as prescribed in ASTM F2575-14 Standard Guide for Quality Assurance in Translation. Occasionally he also does extraction, transcription and subtitling for special projects. Some valued clients continuously ask him to perform back-translations, post-publication reviews, translation audits and evaluations. He is the first native Indonesian positively reviewed for English-Indonesian (vice versa) by the Credentials Review Committee of the American Translators Association and earned his Active Member status since 1994.